Work for ArcGIS Spatial Analyst? Learning about ArcGIS Spatial Analyst? "the most complete vector gis software"
Is the most robust gis environment package on the market, adapting to the budgets of companies and the processes required by those involved in the definition of the expected product. The management of analysis tools through license fees tends to slow down the development of complex analysis methods. Requires high performance hardware for the 3d models. You must handle very well the theoretical foundations on which this software is based, that will guarantee your success. ArcGIs Spatial Analysis gives you another perspective of the spatial behavior of the data. The main benefits are: time saving, expedited handling of the complementary elements of the final map, support of heavy databases, interoperability with the vector products generated in other software. I do not waste time with cartographic product treatments in other color enhancement programs, graphic effects and other things, the map design interface is sufficient. 9998 errors, it would be great if the tools were better at detecting too-large datasets (limits) and pathname limitations. Most problems I run into are system resource, pathname, network latency issues and it would be a huge issue if the software were smarter about detecting such things. Learn the fundamentals of raster analysis take the time up front. I think the Spatial Analyst suite offers a diverse set of tools that has been invaluable to my work in hydrology and related modeling. A coworker of mine recently switched away from 3D analyst in favor of this product. I can't think of anything, as the product has worked quickly and done its job whenever called upon. Hydrology and related modeling; this is work largely related to endangered species range in relation to toxic chemicals. The tool helps us with our federal clients most. I like the selection of different interpolation methods and the ease of use of the extention. The documentation is a great resource for learning about the different interpolation techniques. It's not quite clear why some interpolation methods are not available with the spatial analyst extention but available in the geostatistical analyst. Combing disparate layers together to form a better understanding of what drives a crop. "Powerful tools for Easter analysis"
Built in functionality for multiple types of analytical operations. Limited details in error messages, making troubleshooting difficult. Make sure to complete formal training on the tools included in Spatial Analyst, in order to understand how the functions are meant to be used. Evaluating suitability for future development, analyzing hazard risk, and assessing distribution of environmental variables. Checking out extensions is clunky. I would prefer if the extension would check itself out and back in when used or needed. Surface interpolation and analytics. Cut-fill, volume calculations. "Great for finding data quickly." I often use the Intersect tool to provide data for my group. I am always being asked to pull multiple sets of data from other multiple sources, and this tools helps me to quickly collect the data I need to produce the output needed for a complex request. The extention is not always availble in a shared citrix enviroment. However, that is not the fault of the tool itself. There are many helpful applications of Spatial Analyst for my job, it certainly makes my work more efficient then doing those processes manually. "Spatial Analyst allows for in-house viewshed creation "
Powerful raster and vector tools allowed me to perform useful analyses with data I already have on hand to inform planning and emergency response decisions. The added annual cost to our software purchase and requires extensive technical education in order to filly utilize. Some capabilities are included in ArcGIS Pro. I appreciate all the capabilites to look at and analyze my data using the various tools and components of ArcGIS Spatial Analyst. Most of my workflows include at least one Spatial Analyst tool. Some of the tools do not provide the ability to create more specific analysis that I need to do. I use ArcGIS Spatial Analyst for conservation planning and environmental modelling. The capabilities of ArcGIS Spatial Analyst provide the tools I need to make informed decisions and to interpret my data correctly and apropriately. "Great software with endless possibilities "
I love how many things the spatial analyst tool lets you do- there’s so many different functions. They aren’t difficult to master and are intuitive. While it’s not hard to get the hang of the spatial analyst tools, it could be a bit more user friendly for beginners. If there’s other software out there that can accomplish what the spatial analyst does, I’m unaware. I love arcGIS and all of its products. We solve a lot of problems- from basic mapping for presentations and reports, to actual technical analysis of information- specifically transportation. 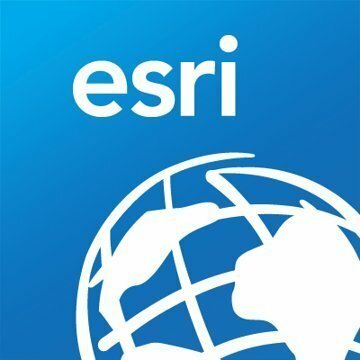 "Great expansion to ArcGIS Pro"
I love the additional features; the spatial analysis tools that are available save a ton of time and are easy to use. The software helps drive decision making through effective presentation and description of data. I like most aspects of the software; I assume that my company wishes it was cheaper, but that's not relevant on my end. We used the product to analyze spatial data relating to health events (i.e. mosquito borne diseases and relationship to pools of water). The cool visualizations and products created and utilized by this toolset. Its a little confusing, but I'm also just starting so its tough to say. It was the first time that I realized the true power of GIS using Spatial Analyst. It made me believe that there are reall world application of GIS. "Spatial Analyst, the Only Tool for the Job"
Spatial analyst provides a suite of critical tools for any serious industry professional working with geospatial data. Spatial analyst is not complimentary, requiring advanced user access. I can answer as many geospatial questions as my company has. The extension has intuitive tools and can address most of the technical requirements I need to perform my daily job functions. There is nothing that I dislike about the extension. "Meets all necessary needs and then some." Spatial analysis on complex datasets with limited processing resources..
Learning curve with new tools is steep, but plenty of support available online. Go for it, it's worth it. * We monitor all ArcGIS Spatial Analyst reviews to prevent fraudulent reviews and keep review quality high. We do not post reviews by company employees or direct competitors. Validated reviews require the user to submit a screenshot of the product containing their user ID, in order to verify a user is an actual user of the product. Hi there! Are you looking to implement a solution like ArcGIS Spatial Analyst?